While Twain was likely talking about writing and storytelling, the words also apply to design. Every designer in the world is working with roughly the same basic tools: the same range of colors, the same interfaces, the same alphabets, the same shapes. How they put them together varies widely, of course. But regardless of the end result, are any of them really original? The short (incomplete) answer: No. But that’s not a bad thing. Consider what would happen if every UI or UX designer out there tried to come up with a completely original design. All the patterns that users are accustomed to, that make websites usable without an instruction manual, would be lost. Things like top navigation, links being underlined, headings creating a hierarchical structure to content, and so many other elements that are taken for granted by users, would disappear. Even things like browser compatibility would be impossible. Without copying and building on the work of other designers, there would be no websites. Design as both a practice and a functional tool would never have come to exist. But that doesn’t mean that there aren’t plenty of examples of plagiarism where the inspiration and the “new” design are way too close to be considered homage. MetLife has been accused of plagiarising Diffen’s logo. So where is the line drawn between copying because it’s the logical thing to do (because users/technology/etc. have come to rely on it), copying as an homage to past designers, and stealing from other designers or artists? In the first half of the 20th century, when Pablo Picasso was living in France, he and some other artists created an improv game called Playing Degas, in which they imitated the famous artist. This stemmed from the accusation that Picasso simply copied Degas’s work. While some accused Picasso of stealing Degas’s work or even mocking him, he created an entire artistic movement (Cubism) from this inspiration and was obviously a great admirer. Picasso understood that a great admiration of another artist can be an excellent starting point for creating something entirely new and unique. While the work was not original per se, it was an expansion on the source and an entirely new direction in the artistic world. Designers would do well to copy Picasso in this case. He took the time to study his source material and really try to understand the motivation of its creator before using it as the basis of his own work. 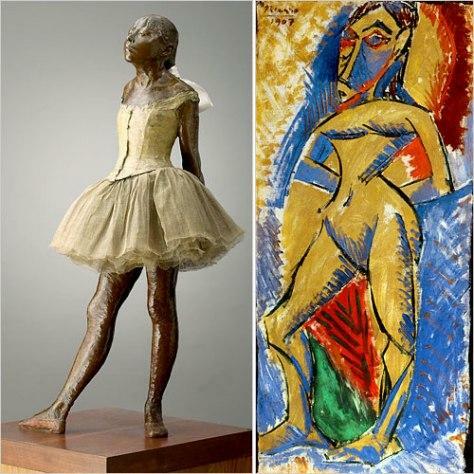 He strived to create something that was unique and only barely recognizable as inspired by Degas. 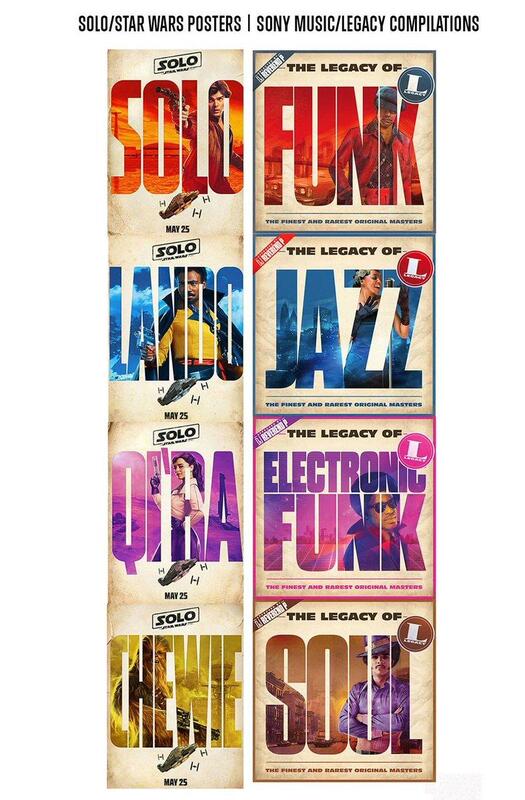 Unlike the designers who created the retro-styled movie posters for the film Solo—they were quickly called out as plagiarized from a series of album covers created in 2015 for Sony. Look at the first website designs, from the 1990s. The earliest websites used blue, underlined text for links, and to this day the underlining convention is still seen, as is setting links in a different color than the body text. Tech giants like Google still use blue, underlined text for links in search results (though their specific shade of blue is a bit different because they found a shade that resonated better with users—they improved upon the original). Google still uses blue underlined text for links, like they did on their first homepage. Each new design trend builds off of previous designs, often improving them along the way. And those improved trends go on to become common usability patterns when designers find that users respond better to them. Cultural appropriation has become a rather heated topic in the design world, though it’s more often called out in fashion and furnishings than web and graphic design. That doesn’t mean graphic and web designers don’t steal from cultures that aren’t their own, though. Taking inspiration from other cultures does not always equal cultural appropriation. Sharing things between cultures is an important part of progress and has led to amazing innovations. The key is to do it in a way that is culturally sensitive and honors the origin of the idea. That said, not every idea from every culture should be used as direct inspiration. Take sacred items, for example. Things that hold particular religious or ceremonial significance should generally be held as off-limits for copying. But that doesn’t mean you can’t draw inspiration from those items for things like color schemes. Another common source of inspiration for designers is underground cultural and political movements. Think of the designs that came out of the beat era or the counterculture of the 1960s. The Black Panther movement’s roots were originally from an arts initiative, the Black Communications Project, which influenced design initiatives for decades (and still does). 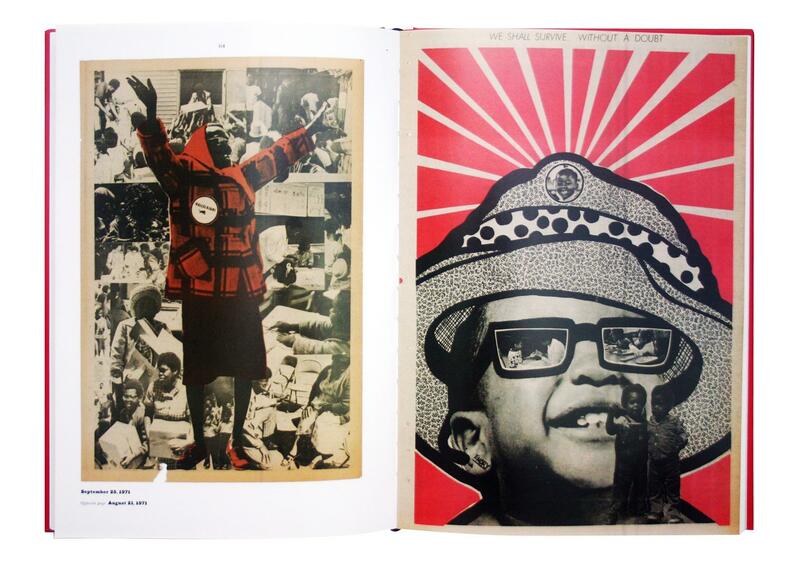 Take the work of Emory Douglas, the Minister of Culture for the Black Panther Party. He worked with what was available to him working at The Black Panther newspaper to create a bold visual language that could cut through the high rates of illiteracy in the Black community during the 60s and 70s. His work is largely known for bold black and white artwork that included bright pops of color (a restriction he worked with since the printing press he used could only use two colors). Decades later, his work still influences modern graphic design. Andy Warhol is probably one of the most iconic art figures of the 20th century. His style has been copied by countless amateurs and professionals alike (there are phone apps that can emulate his style at this point). And yet, the basis of much of Andy Warhol’s work was effectively stolen from others. He took famous images, brands, and other materials and stylized them to make them his own. While his images of Campbell’s soup cans were so popular that the company actually thanked him for the free publicity, and his stylized prints of a publicity photo of Marilyn Monroe from her film Niagra was a huge hit, Warhol was eventually sued by photographer Patricia Caulfield for using her photos of hibiscus flowers without permission in his Flowers series. And yet, despite the legal troubles he suffered, his artwork remains iconic and still influences art and design today. 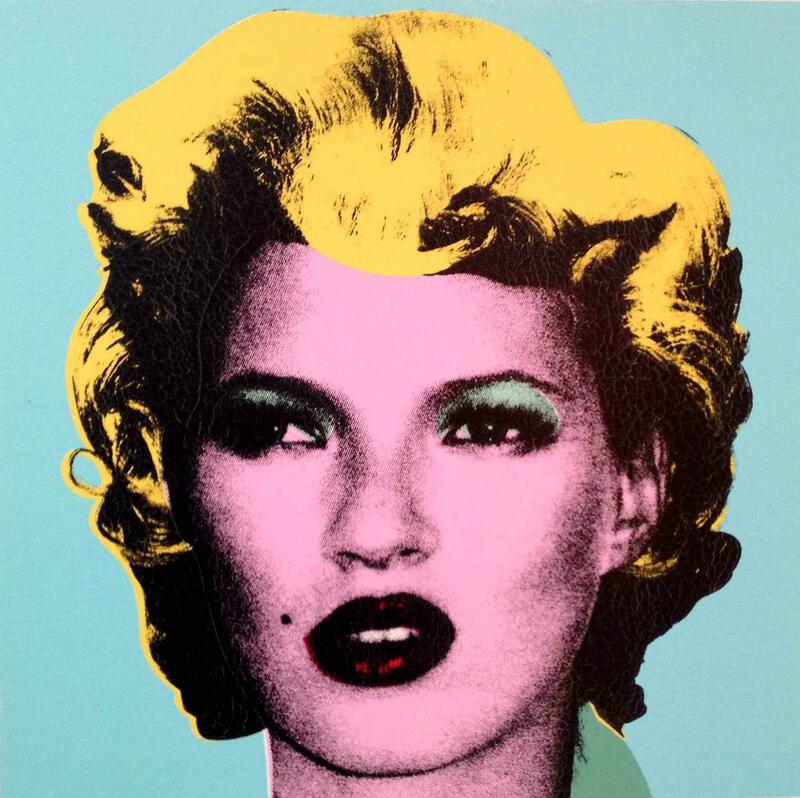 Banksy created this image of Kate Moss in the style of Warhol’s images of Marilyn Monroe. Design existed long before the web. So when web design started to become an established trade, it only made sense that many of the early web designers transitioned over from print design. And it only makes sense that they brought a lot of their tools, standards, patterns, and knowledge from the print industry with them. From the beginning, websites were designed following many traditional print design principles. And for good reason: many principles of design—balance, negative space, good typography, hierarchy, etc.—carry over no matter what the medium is. Designers across a variety of mediums pull inspiration from one another. And it can make it harder to tell where the inspiration came from. Granted, not every designer cares about hiding their original inspiration. Take designer Alex Turnwall: he does not hide the fact that the inspiration for his homepage came from Karl Gerstner’s early 1960s brochure for Holzäpfel tables. He took the layout from the original brochure and made it fit his own needs. The end result is a recognizable homage to the original, but one that evokes nostalgia rather than screaming of plagiarism. The fact that Turnwall includes a case study on his website furthers that impression. All designers steal, there are no original ideas, etc. That’s well-established. But how does a designer go about using other people’s ideas ethically (and, perhaps more importantly, legally)? There are a few things to remember when drawing inspiration from other sources, whether they’re other cultures or other designers. One note here: Drawing inspiration heavily from the designs of others can be a great way for new and beginning designers to learn the craft. But these early attempts are often better left to portfolio pieces (with proper attribution) and learning exercises than professional design projects for public release or for actual clients. Copying a single design and calling it “inspiration” is a great way to get accused of plagiarism—and potentially sued for copyright or trademark infringement. But drawing from multiple sources can make it much harder for the original inspiring designs to be identified. Drawing from multiple sources also forces designers to use at least some creativity in how they combine elements, which will eventually make them better designers. And there are so many sources out there that can be used as inspiration, there’s almost no excuse not to use a variety. For example, a website design might find its color palette from a sign in the designer’s local neighborhood, its layout from a magazine spread circa a 90s teen fashion magazine, and typography from the designer’s favorite app (in an unrelated industry). Combined, only the most discerning and knowledgeable designers would ever be able to guess where even one of those elements came from. Improving upon the original design or design pattern is another ethical way to use the design work of another. For example, creating separate mobile and desktop website designs was commonplace a few years ago. Then Ethan Marcotte came along with his proposal for responsive design, which took that principle and supercharged it to create a much more powerful design tool for modern web design, where devices come in all shapes and sizes. This is also a very popular idea implemented by type designers. There are a ton of new versions of classic typefaces created by designers looking to update and modernize their favorites. This often includes adding new weights, smoothing out inconsistencies in the originals, and sometimes making complete overhauls to suit both screen and print use cases. While sometimes those typefaces continue to use the same names as the originals (such as the updates to Gill Sans), others are re-released under entirely new monikers (such as Sabon, which is an update of Garamond). When creating work inspired by the work of another, and that inspiration is recognizable, then it’s important to give credit to the original work whenever possible. For example, a portfolio piece might include a mention of the inspiring work in the description of the piece. When looking at inspiration, it’s important for designers to consider whether they’re plagiarizing or creating something unique and at least partially original. Does the finished design improve upon the original? Does it derive inspiration from multiple sources? Is the finished design the best possible solution to the original problem? Every designer draws inspiration from somewhere. The biggest differences between good designers and great designers are how they can elevate the sources of their inspiration so that the end result is more than the sum of its parts. Design patterns can speed up the design process by handling common problems with established solutions and can make a site or app more user-friendly by providing users with predictable functionality such as top menu bars and overall layouts. What is considered pop culture? Pop culture is generally considered to encompass the ideas, practices, beliefs, and objects that are ubiquitous in society at a given time and can influence the way members of that society view certain topics. Plagiarism is taking someone else’s work or ideas and passing them off as your own. Plagiarism can be avoided by drawing inspiration from multiple sources, crediting sources where appropriate, and creating unique work.